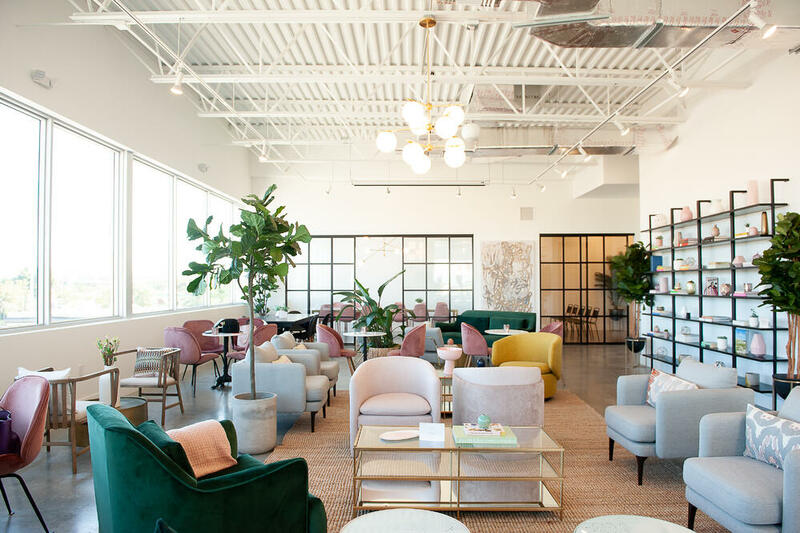 Luminary today announced an exciting partnership with The Emery, a co-working space and social club for women in Hallandale Beach, Florida, perfectly located in South Florida between Miami Beach & Fort Lauderdale, which opened in early January. Given a mutual commitment to supporting women and personal and professional development, the two newly-opened collaborative spaces inked a reciprocal partnership. This collaboration gives members access to the open workspace in both spaces. When a Luminary member finds herself soaking up the sunshine in the Miami area or an Emery member finds herself taking in the culture, sights, and shopping in NYC, they will have access to the open workspace, to get work done, meet people, and establish new bonds. Members planning to travel to the respective regions can show up and show their membership app for access. This partnership extends individual membership benefits with one guest pass and limited access to conference rooms (based on availability only). Founder Aileen Lavin opened The Emery this month with excited members eager to experience the 4,000 square foot space. She shared her incredible journey to opening day with us and reflected on how this life-changing milestone started with an invite. "After attending the same networking events over and over, with the same limited to no results, I decided to create my own networking community. I sent out an invitation to women in my community to come to my house to meet, talk and have a little lunch in between. That day 40 incredible women showed up, all looking to connect with other women, build their careers and seek guidance on how to achieve their desired success. From the initial lunch in my living room to an online community to hosting events to having our very own workspace." Aileen looked to find others that shared her mission and discovered Luminary. Aileen recalls: "Within minutes of speaking with Cate Luzio, it was evident that we shared the same hopes for our collective missions and that it's necessary for places like this to exist for women who are looking to grow. We talked at length about how it is important for our members to have the opportunity to work with one another and have theresources to collaborate". The result is a rather unique partnership. The Emery and Luminary both have programming from various workshops and seminars to events geared around professional development. The synergies are strong and both meeting spaces have so much to offer. This is a fantastic example of women's’ spaces working together for the benefit of their members and community. Luminary also has a partnership with TheCoven, a coworking space for women in Minneapolis and will be announcing others soon! For questions or more information please contact hello@the-emery.com or info@luminary-nyc.com.